Announcement Welcome to little dear, the perfect place to find unique and beautiful hand embroidery patterns, diy craft kits and fun felt sewing patterns to delight your crafty heart. Welcome to little dear, the perfect place to find unique and beautiful hand embroidery patterns, diy craft kits and fun felt sewing patterns to delight your crafty heart. Very cute! Hope to teach myself how to embroider! New pond creatures hanging out in my fairy door quiet book! Let’s sew all the felt things. Happy Earth Day! visit littledeartracks.blogspot.com to download these free embroidery patterns! In my little studio, surrounded by dolls and handmade treasures, I dream up things for you to stitch! 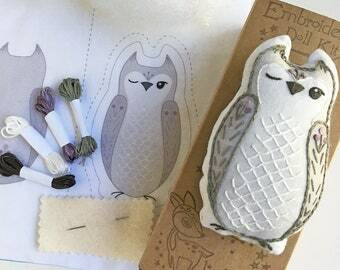 Instantly downloadable craft patterns include complete patterns and instructions to create sweet felt whimsies. Mini felt animal patterns also make super cute finger puppets! Unique embroidery designs, forever inspired by nature, will bring tranquility and creativity to your life! Hand packaged embroidery kits are so much fun to work on and make perfect gifts for crafty friends. 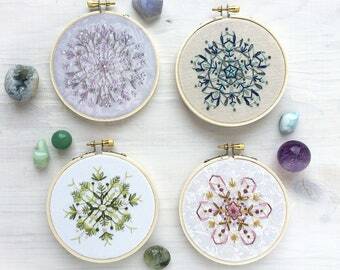 little dear brings you hand embroidery, craft patterns and kits to delight your crafty heart. I love creating craft projects and embroidery patterns for you to make and my goal is to equip you with the inspiration and patterns you need to stitch something unique and wonderful! Whether you're looking for something extra special to sew as a gift or just something fun and relaxing to make for your own enjoyment, I've got plenty of patterns to choose from. I know you'll discover something you feel was created especially for you, and that you'll enjoy the process of making it as much as the end result. I have loved making things for as long as I can remember. When I was 6, my grandma introduced me to hand embroidery, bringing little samplers for me to stitch when she came to visit. As I grew, I would regularly scavenge my mom's craft supply closet, and armed with a glue gun, I would create toys from my imagination that I played with as much as any toy store purchase. To this day, one of my favorite things is to dream up a stitching project and find a way to bring it to life. Since I started little dear 10 years ago, it has grown and developed as my work grows! Here you will find my original embroidery and craft pattern PDF downloads, hand packaged kits and a few one of a kind art creations. I hope you love my work as much as I enjoy creating it! Thanks for visiting my shop! I am the author of the Doodle Stitching embroidery books and here you will find lots more of my original embroidery and craft patterns, and hand embroidery kits. I love making things and sharing them with you! I may store and process your information through third-party hosting services in other jurisdictions. As a result, I may transfer your personal information to a jurisdiction with different data protection and government surveillance laws than your jurisdiction. If I am deemed to transfer information about you outside of the US, I rely on Privacy Shield as the legal basis for the transfer, as Google Cloud is Privacy Shield certified. If you have any questions or concerns, you may contact me at aimee0ray@gmail.com.